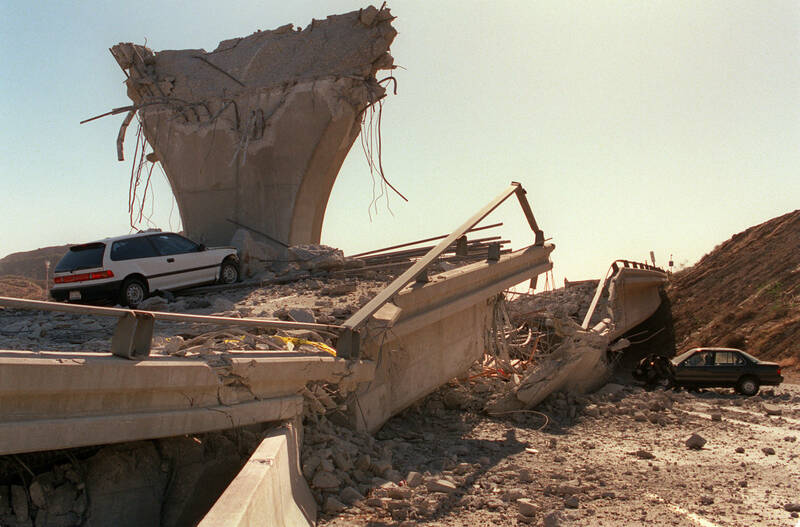 25 Years After the Northridge Earthquake: Is Los Angeles Ready for the Big One? Twenty five years ago — at 4:30 a.m. on Jan. 17, 1994 — the Northridge earthquake shook Angelenos from their beds. For those of us who lived through it, the memories of chaos early in the morning are unforgettable. "We were just literally startled awake by a freight train driving right through our bedroom," said my father, Mark Margolis, who along with my sister, my mother and myself, was sleeping just about seven miles from the epicenter. "I mean the blinds that were supposed to be hanging vertical were horizontal. So, there was a tremendous amount of movement." I was only five, and remember being pulled from my bed into the dark hallway by my parents. Our house was a mess with everything from our shelves and what was inside of our refrigerator being thrown out to the ground. "I remember driving down one of the main streets and there was like water coming up from the street because there were broken gas lines as well as broken water lines. There was water, but there were also flames coming out of the water," said my father. "Burning water -- how often do you see that?" The earthquake killed at least 57 people and damages reached $40 billion. Since the Northridge earthquake, building codes have improved and retrofit programs for hospitals, apartments and freeways have been implemented. The hope is that those improvements leave us safer. But Southern California hasn't had an earthquake strong enough to test the region for its preparedness for some time. About 7,000 miles of water pipes are currently being retrofitted by the Los Angeles Department of Water and Power, so that they don't crack in an earthquake. Those pipes rupturing could mean contamination or complete loss of water to homes. Craig Davis, the Water System Resilience Program Manager, said that it will take 120 years to fix the entire system. Seismologist Lucile Jones was the lead author of a 2008 report called "The ShakeOut Scenario" for the U.S. Geological Survey. In it, researchers described a theoretical but likely earthquake: A 7.8 magnitude temblor on the southern San Andreas fault that would be 44 times stronger than Northridge. The report estimated that if that earthquake occured, 1,800 people could die, buildings could collapse, an estimated $200 billion in damage could be done and conflagrations could break out. "Northridge was an event that disrupted the lives of people in the San Fernando Valley extensively ... disrupted our community for a year or two," Jones said. "The big San Andreas earthquake is going to disrupt the lives of everybody in Southern California and it could take us decades to recover what we lose." Los Angeles Mayor Eric Garcetti has worked with Jones to implement various programs designed to improve the city's resilience. "We're better prepared for the big one than any big city in America," he said, "which is to say, we're woefully unprepared." Limited water and overwhelmed emergency services after a big quake hits could mean large fires spreading quickly throughout the hills and neighborhoods, according to Jones. Mark Ghilarducci, director of California Governor's Office of Emergency Services, said it could take 48 to 72 hours for outside help to arrive in Southern California. Meaning, 10 million people should expect to be largely on their own for a couple of days after the disaster.